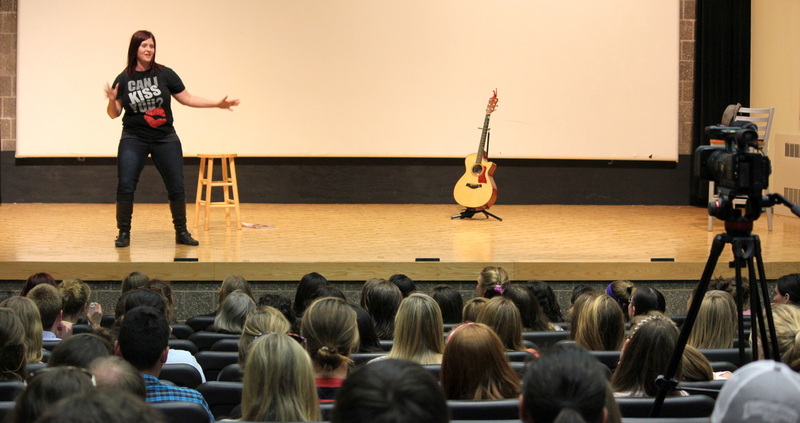 "I Want My Jacket Back" is an interactive lecture that uses stand-up musical comedy to engage audience members in dialogue about gender violence. Dr. Freitag visits campuses, conferences, and communities nationwide to provide this and other workshops, trainings, and lectures on topics related to gender and gender violence. Dr. Freitag is a faculty member at the University of Dayton and would love to partner with you to facilitate dialogue and training at your organization, agency, or campus. If you're near Dayton, you may save substantially on expenses. Dr. Freitag will be presenting the pre-conference workshop session, "Comedy in/as Activism" at the Organization for the Study of Communication, Language, and Gender conference on October 13, 2006.